From the same team that brought you Super Mommy in June, this December, Resorts World Sentosa Singapore (RWS) returns with their second production of the year – Musical TARU. 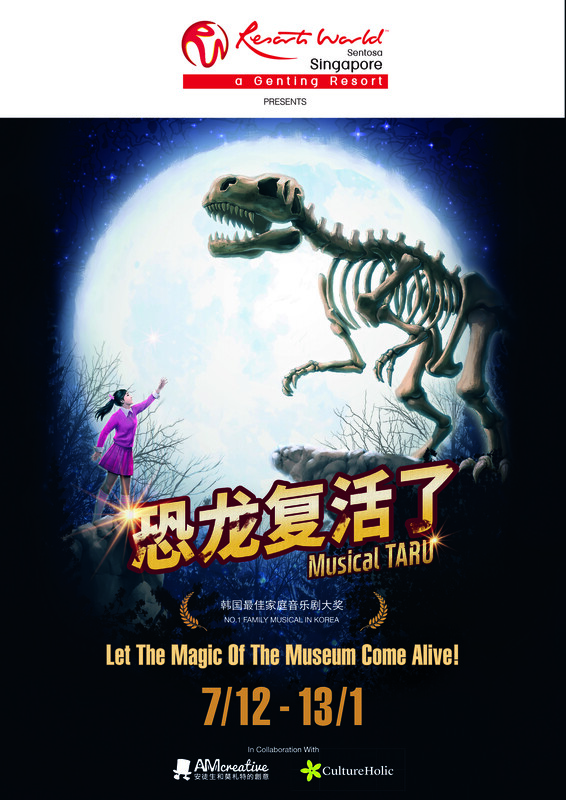 Produced by RWS in collaboration with Taiwan’s AMcreative and South Korea’s Culture Holic, Musical TARU is a localised adaptation the ‘No. 1 Family Musical’ in Korea. 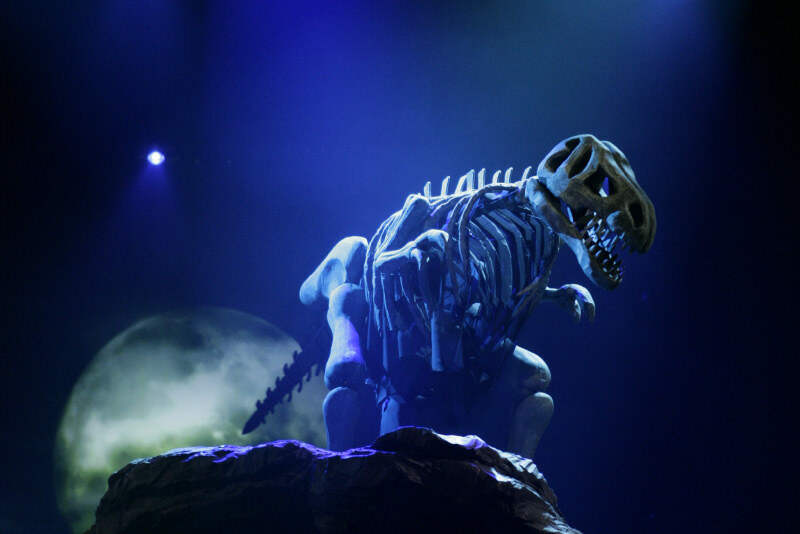 Fuelled by the curiosity to discover more about a natural history museum’s latest attraction – a rare and fascinating pair of mother-and-child T-Rex fossils, Musical TARU follows three young protagonists as they find themselves on an unexpected adventure there during a mysterious lunar eclipse. When the child T-Rex fossil is stolen, the protagonists wind up befriending the museum’s resurrected residents, the protective mother T-Rex to the beautiful Egyptian queen Cleopatra. 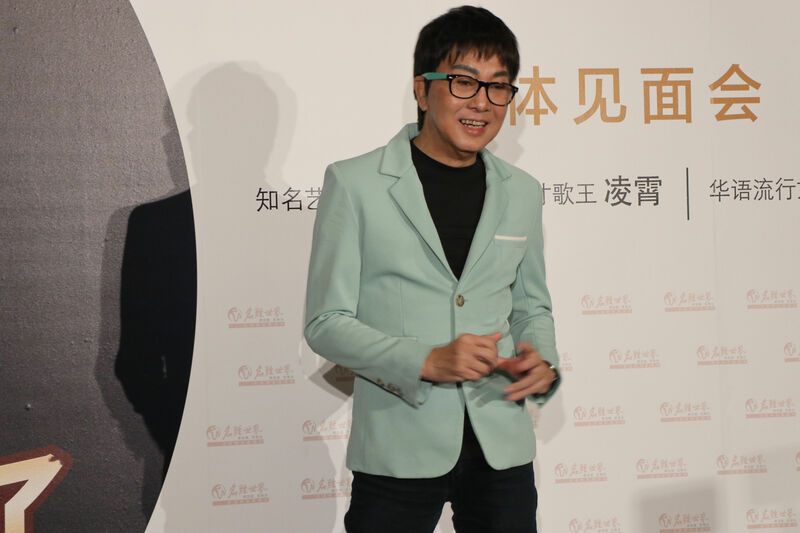 Over the course of the musical, the daring trio then travel through familiar Singapore landmarks such as Bukit Timah Hill and Changi Point as they joined forces to recover the stolen baby TARU. Armed with life-sized puppets, intricate costumes and slated to have stunning set design, Musical TARU poises itself as a family-friendly musical for all ages this year end. 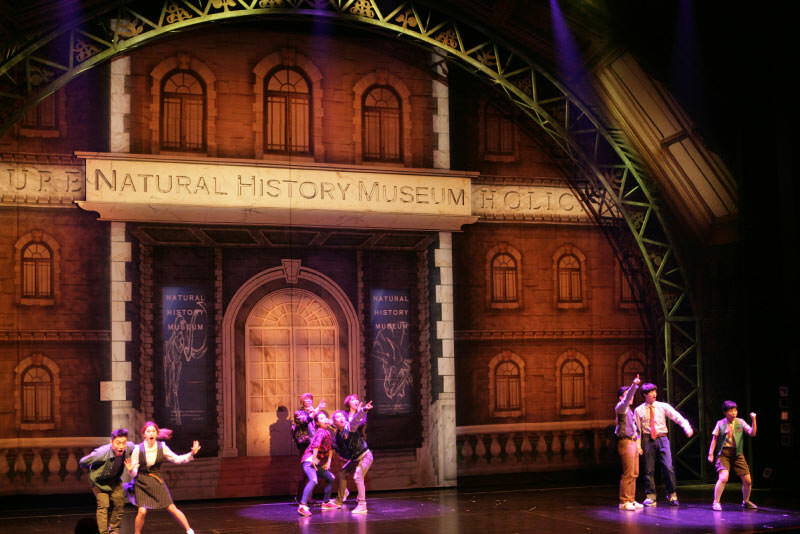 Featuring not only a slew of energetic dance numbers, enchanting music and arresting visuals made possible, the production promises a truly unique adventure filled with heart-warming and hilarious moments that will tug and tickle at heartstrings, celebrating a mother’s love and the pursuit of one’s dreams.